New therapeutic molecules developed at Toronto’s Centre for Addiction and Mental Health (CAMH) show promise in reversing the memory loss linked to depression and aging. These molecules not only rapidly improve symptoms, but remarkably, also appear to renew the underlying brain impairments causing memory loss in preclinical models. These findings were presented at the American Association for the Advancement of Science (AAAS) Annual Meeting in Washington DC. “Currently there are no medications to treat cognitive symptoms such as memory loss that occur in depression, other mental illnesses and aging,” says Dr. Etienne Sibille, Deputy Director of the Campbell Family Mental Health Research Institute at CAMH and lead scientist on the study. What’s unique and promising about these findings, in the face of many failures in drug development for mental illness, is that the compounds are highly targeted to activate the impaired brain receptors that are causing memory loss, he says. It took a series of studies – the most recent appearing in January 2019 in Molecular Neuropsychiatry – to reach this stage. 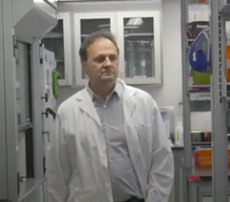 First, Dr. Sibille and his team identified the specific impairments to brain cell receptors in the GABA neurotransmitter system. Then they showed that these impairments likely caused mood and memory symptoms in depression and in aging. The new small molecules were invented to bind to and activate this receptor target. The idea was that they would exert a therapeutic effect by “fixing” the impairment, resulting in an improvement in symptoms. The molecules are chemical tweaks of benzodiazepines, a class of anti-anxiety and sedative medications that also activate the GABA system, but are not highly targeted. If successful, the potential applications are broad. Not only is there a lack of treatment for cognitive deficits in mental illness, but the brain improvements suggest the molecules could help to prevent the memory loss at the beginning of Alzheimer’s disease, potentially delaying its onset. The Centre for Addiction and Mental Health (CAMH) is Canada’s largest mental health and addiction teaching hospital and a world leading research centre in this field. CAMH combines clinical care, research, education, policy development and health promotion to help transform the lives of people affected by mental illness and addiction. CAMH is fully affiliated with the University of Toronto, and is a Pan American Health Organization/World Health Organization Collaborating Centre. For more information, please follow @CAMHnews and @CAMHResearch on Twitter.